As a result of ongoing high electricity bills; there still appears to be a huge number of Australian households considering solar and also contemplating batteries in order to exercise greater control over energy costs. 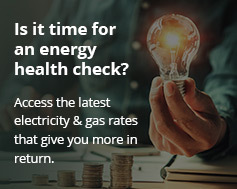 According to research released late last week by Energy Consumers Australia; 74% of those surveyed felt their electricity bill was either expensive or very expensive. The survey also found 50 percent of respondents have or wish to install solar panels and 28 per cent either have or are considering battery systems. Of those who have installed or are considering installing solar power systems, 81% are also looking into home energy storage. “Almost 1.5 million Australians already have solar panels and this has already had a big impact on electricity demand, reducing the need for new investment in the network,” said Energy Consumers Australia CEO, Rosemary Sinclair. A Climate Council report from October predicts half of all households in Australia will install solar + battery systems. Ms. Sinclair also noted Australians are prepared to make a significant investment in storage. This view is backed by another recent survey stating 10 per cent of solar owners were not concerned with how long it took to achieve payback on an investment in residential energy storage. This perhaps indicates a very strong “stick it to the man” aspect among potential early adopters who want to distance themselves further from reliance on the mains grid – and energy companies. According to the recent Network Transformation Roadmap update, a quarter of all electricity system expenditure in Australia out to 2050 is likely to be made by consumers; in the form of items such as solar and energy storage systems. Commenting on the Network Transformation Roadmap, Ms. Sinclair said consumer viewpoint needed to be put at the centre of such a discussion. Energy Consumers Australia was formed by the Council of Australian Governments (COAG) Energy Council to promote the long term interests of consumers of energy with respect to the price, quality, safety, reliability and security of supply.